There's so much to discuss, I will do a separate post about some of the interesting techniques used in the build, but the tl:dr spoiler-free version is: this is awesome. It’s hard to believe designer Jamie Berard can keep pulling these out of the bag. This special 10th anniversary model is bigger than ever before - just over 4000 pieces sitting on a 32x48 base - and in many ways, is better than ever before. For starters, it has a brilliant array of completely new LEGO pieces, some of which fans have been dying to own for years. Corner SNOT is here! This is one of those parts which regularly appears on those “what part do you wish the LEGO Group would release?” lists that regularly grace fan forums. If you want to use SNOT techniques on a corner, up until now you have had to use a 1x1 brick with studs on all four sides (4733) and to somehow deal with the unwanted extra two studs. There are other ways depending on what you are building, but it’s all very fiddly indeed. 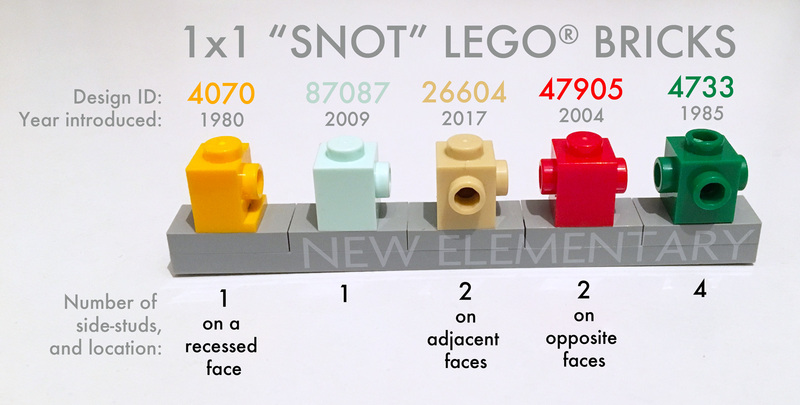 This new 1x1 SNOT brick, shown in the middle in the picture below, solves everything by having studs on two adjacent sides. TLG call it “Brick 1X1, W/ 2 Knobs, Corner”, it has a Design ID of 26604 and in the colour of Brick Yellow [TLG]/Tan [BL] its Element ID is 6175968. You will also find it in LEGO Creator 31058 Mighty Dinosaurs, which contains four, but pffffft to that. Jamie has snuck 36 of these into 10255 Assembly Square! The only thing more thrilling than a new LEGO part is to have loads of them straight away. However, I haven’t much else to say about it. It will certainly be incredibly useful and will get you out of many tight corners (pun intended) but it is such a universal piece, I find it hard to think of general applications beyond ‘corner SNOT’ to tell you about. Here are a couple of thoughts though, using other new parts. 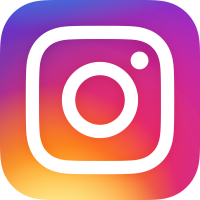 Readers, please do send me your pictures of how you use it and if I get enough I will make a post of them. Next, a new part that I for one did not expect at all, shown at the bottom of this picture. 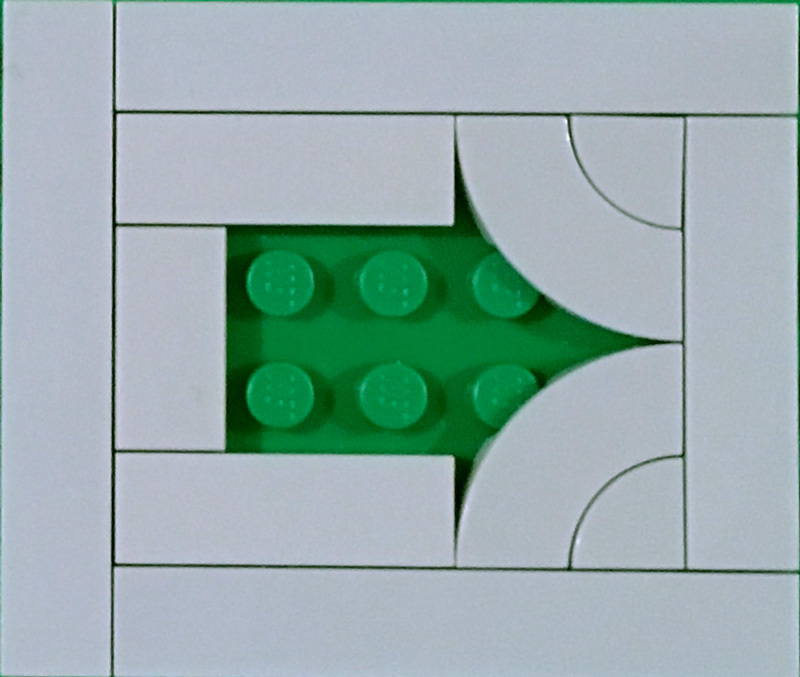 The classic 45° 1x2 slope has been around since the late 1950s and in 2011, The LEGO Group released a variant which many of us call ‘the slipper’ (Design ID 92946): rather than being the full height of a brick, its non-sloped section is just one plate high, down at the base of the brick. 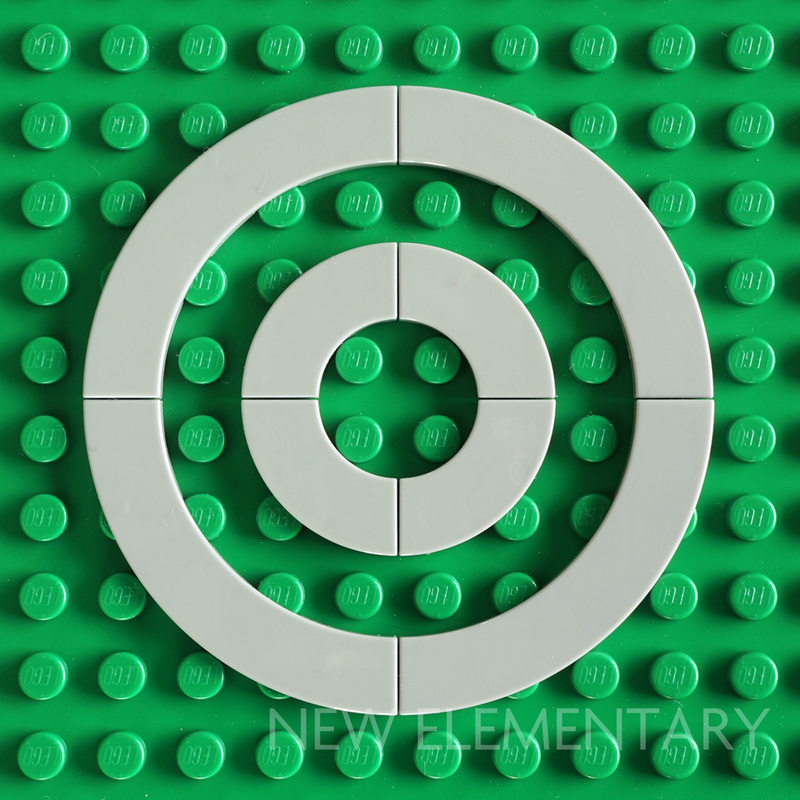 Now, we have another variant with just a tile hovering at the top of the brick. I don’t know its official name yet (I’m tempted to call it the anti-slipper) but the Design ID is 28152 and you get it in not one but two colours in this set: two in White (Element ID 6166894) and two in Dark Stone Grey (6168776). Its smooth top makes it different to the regular 1x2 slope, and similar to the ‘baby bow’ 1x2 curved slope (11477) introduced in 2013. Stepped parts like this are great for quickly and securely locking other parts onto a plate (which adds weight to my ‘anti-slipper’ nickname!) but is perhaps of greater use to LEGO designers than fans. I suspect we will find loads of other uses for it though; here is one idea. 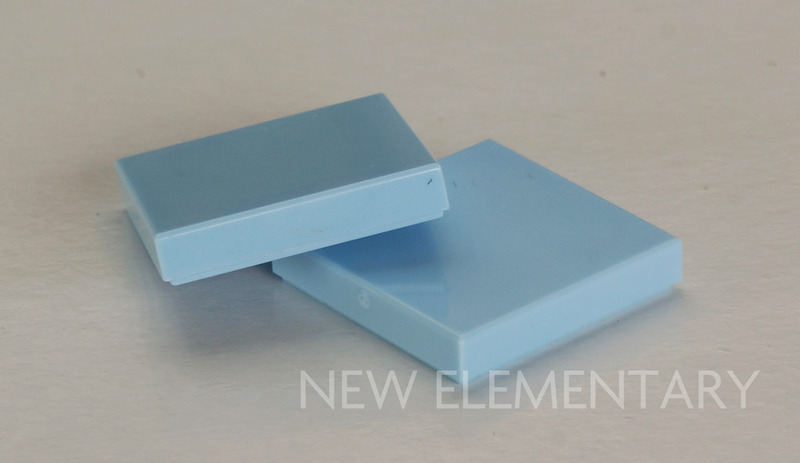 Sticking with the 45° theme, we have a new angled door/window frame with Design ID 28321. It’s sort of like a chunky wedge brick and sits within an area of 4x4 studs. It fits the standard 1x4x6 LEGO doors or windows. The set contains one in White (Element ID 6177157) and one in Black (6177156). Now it’s time to start talking about the tiles. There are a lot of tiles to talk about. Good tiles. First up; a 2x2 corner tile with 45° angle! 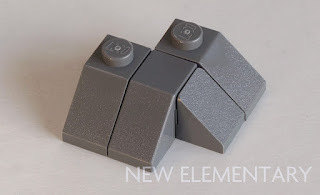 Although this is the first LEGO set to feature them, I wouldn’t be surprised if we have the ever-angular Nexo Knights theme to thank for these, and the anti-slipper. They are a lot of fun to play with, as you will see later. I think the Design ID is 27263 (man, it's really hard to see!) and as shown here, there are a whopping four colours provided in this set. 12 in White (Element ID 6168612), four in Earth Blue [TLG]/Dark Blue [BL] (6166854), 18 in Dark Stone Grey (6177079) and “yay they’re in bley" — seven in Medium Stone Grey [TLG]/Light Bluish Gray [BL] (6177078). There’s more sweet bley tile happiness. At last, macaroni tiles are here! 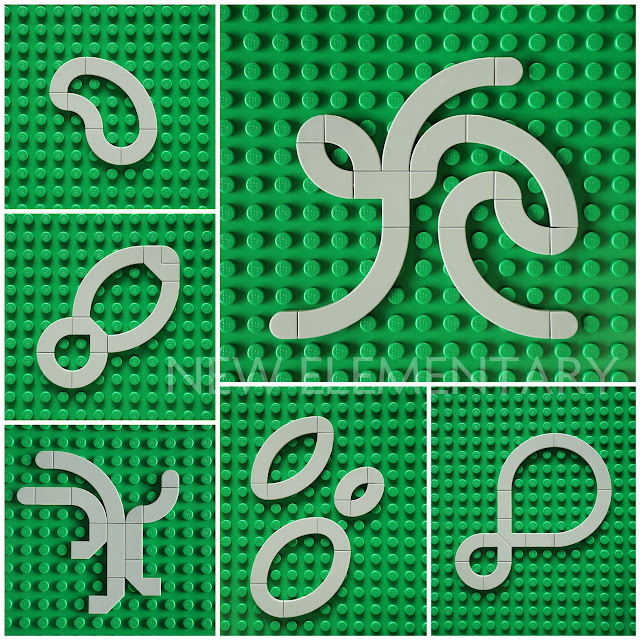 There are six 2x2 curved tiles (Element ID 6163990 | Design ID 27925) and, as if that wasn't enough excitement, these are also four 4x4 curved tiles (6163989 | 27507). Look how beautiful they are. Even their undersides are pretty. Given that the brick version of the 2x2 macaroni (Design ID 3063) has been around since 1955, I guess it’s high time we got the tile version… which in turn makes me want the macaroni plate even more. The tile's introduction hopefully makes that more likely... well, I can hope. Obviously we are missing a 3x3 macaroni tile too, but then we are missing the brick version as well. That said, a 4x4 macaroni tile shares an edge with 3x3 shapes such as these. Good times with bley tiles continue among the existing parts that are newly recoloured in this set. There are four 1x1 quarter-circle tiles in Medium Stone Grey (Element ID 6176433 | Design ID 25269), which fit perfectly inside a 2x2 macaroni tile to create a 2x2 quarter-circle, which adds a lot of new possibilities. 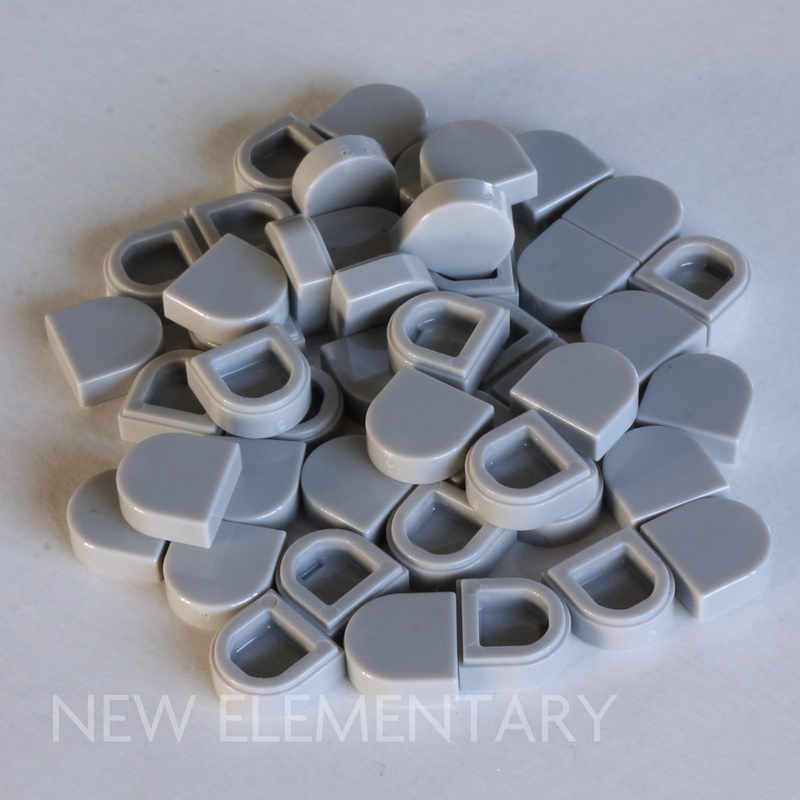 ‘Tooth’ tiles have already appeared in Medium Stone Grey (6151688 | 24246) but this set comes with 46 of them, 47 if you include the spare. So all this means that 10255 Assembly Square has an amazing selection of bley tiles that all together are a lot of fun to play with… and play I did, before I began making the set. I can't remember the last time I had so much fun with new parts. Back to the quarter-circle tiles now; there are additional new colours to savour. 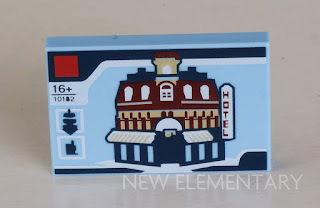 You get three in Black (Element ID 6172383) and will also find this in the 2017 set 41230 Batgirl Batjet Chase, and eight in Brick Yellow (6145570) which is also found in 2017’s 41150 Moana's Ocean Voyage. Also pictured here are the Brick Yellow ones with pie print (6151221) which appeared earlier in 2016 in 41126 Heartlake Riding Club. 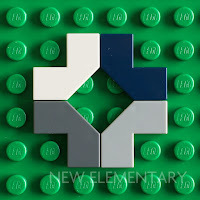 Sticking with tiles, there’s now a 2x2 (6162894 | 3068) in the lovely shade of Light Royal Blue [TLG]/Bright Light Blue. Also, there’s a 2x3 tile in this colour! However it is printed, so I will come to that later. These are the first tiles to ever be made available in this hue, which is a good sign. Birds do well in this set. The chicken has been cast in White (6063271 | 95342) and the parrot, seen here doing an impression of a Norwegian Blue, is cast in multicolour: Bright Blue and Bright Yellow [TLG]/Blue and Yellow [BL] (6178520). I presume the green in its beautiful plumage is due to mixing rather than a third additive, but someone please correct me if I am wrong. Great to see the 1x1 round with bar and hole now in Black (6167933 | 20482); it bridges three LEGO ‘connection families’ - studs, 3.18s and 1.5s. There is only one plus a spare. Also in Black: two bow windows (6177083 | 20309). 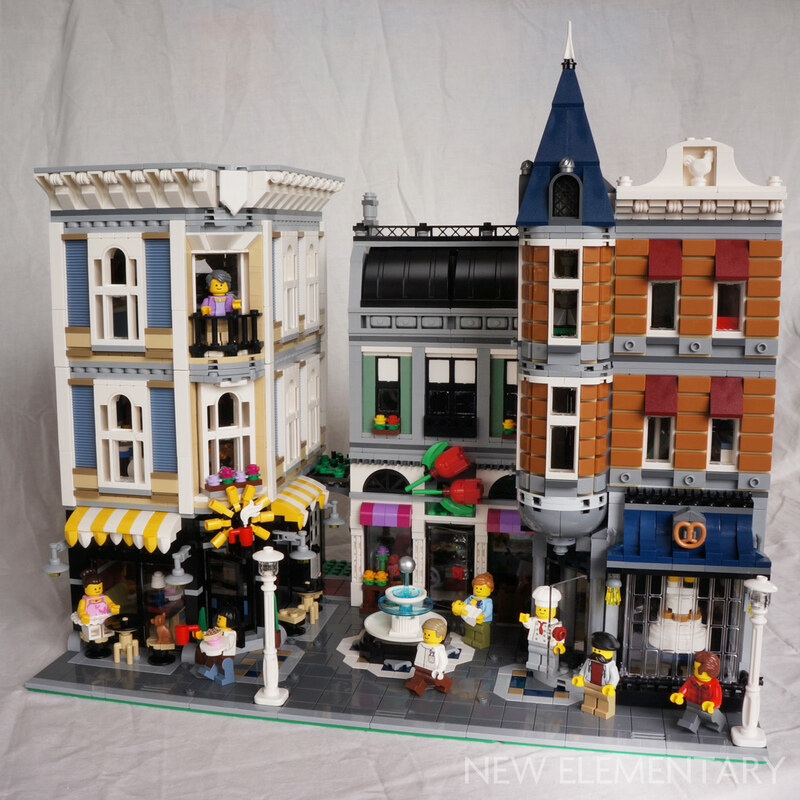 A beautiful part, yet it has previously only appeared in just three sets in two colours: Brick Yellow in Friends and Sand Green in 10251 Brick Bank. I discussed the tweaked arch it was designed to fit inside previously on this blog, and the bow window was a seed part in one of our parts festivals, so check that out for interesting techniques and ideas. Now on to a colour that seems to be getting a lot more love from TLG of late. This claw has been recoloured in Bright Green (6177124 | 16770) which will be perfect for foliage, which is indeed what Jamie uses two of them for in the set. He also uses three 3L bars (6161772 | 17715) in this shade, and happily there are two spares. These Bright Green bars are not new to this set however, having first appeared recently in 71040 Disney Castle. Reddish brown 1x1 round tiles (6133854 | 98138) are new to sets and there are two plus a spare here, although BrickLink does note that they have appeared in Elves activity book Zemsta elfiej wiedźmy (Polish Edition). 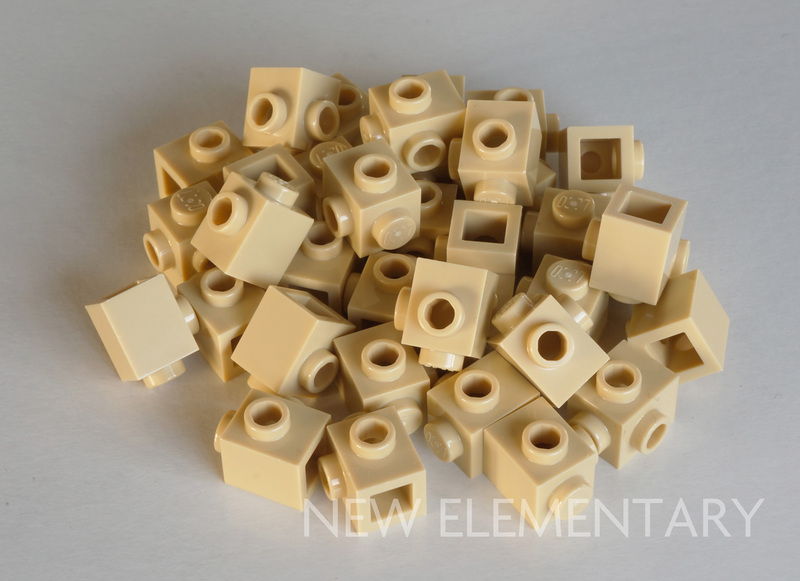 Lovers of Medium Nougat [TLG]/ Medium Dark Flesh [BL] rejoice, two small basic parts arrive in this colour in this new Modular. There are two plus a spare 1x1 tiles (6177146 | 3070) and no less than 60 1x1 ‘cheese’ slopes (6167690 | 54200). It seems excessive to mention, but there’s a spare of those too. A beautiful 2x2 dish (6178683 | 4740) is used in the set and oddly (but happily), a spare is supplied as well. 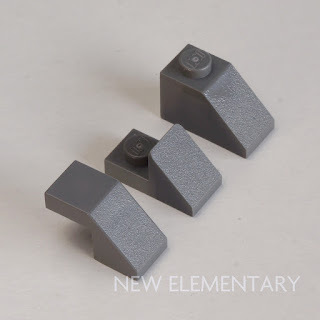 BrickLink call this colour "Metallic Silver" and I’m confused about what TLG call it. They used to call it “Cool Silver, Drum Lacquered” and possibly still do, but I would have thought the logical modern equivalent is “Silver Metallic, Drum Lacquered”. (Drum lacquering is a process as opposed to a colour.) 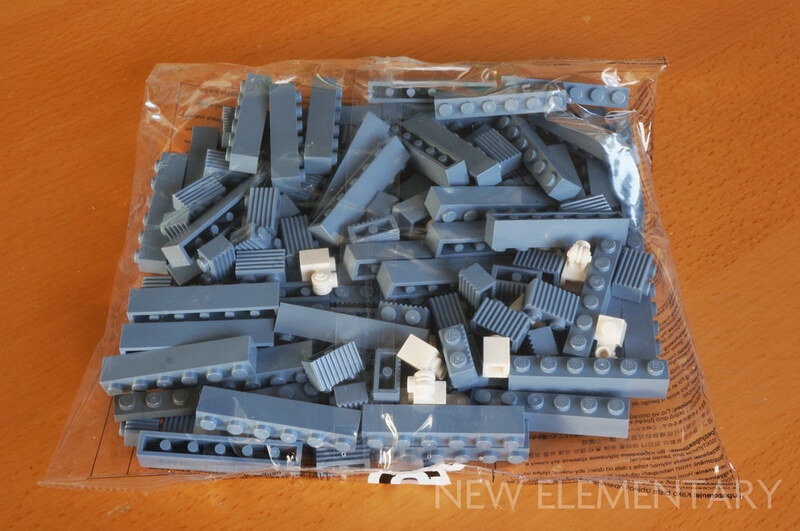 The reason I am unsure is that it seems TLG do not add parts in this colour to their online database, which Brickset uses. 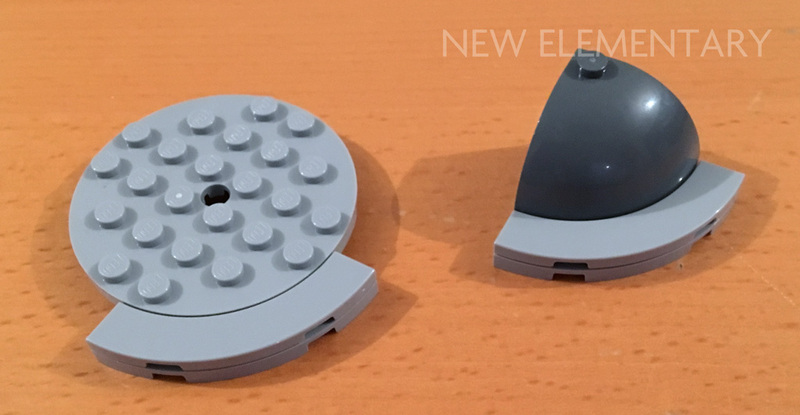 For example, the Technic ball joint (also pictured) appears in this colour (6082975 | 32474) in 10255 Assembly Square too, and BrickLink tells me it previously appeared in some 2014 sets and a 2015 set too, but all these Brickset inventories are missing it. Anyway, the important thing is that there are two really cool silvery metallicy 2x2 dishes in here that we’ve not seen before! 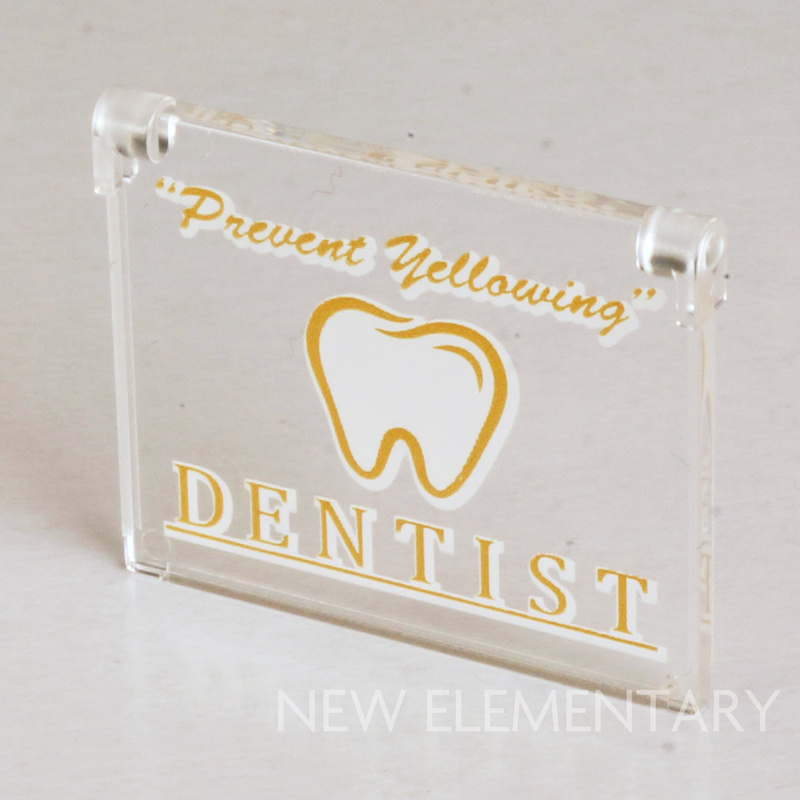 There are not many decorated elements that are brand new but the two supplied are excellent. A 1x4x3 window is used in the dentist’s surgery (6177280 | 60603) - spot the cute LEGO nerd gag. I'll certainly be bringing my 1970s bricks to this dentist. 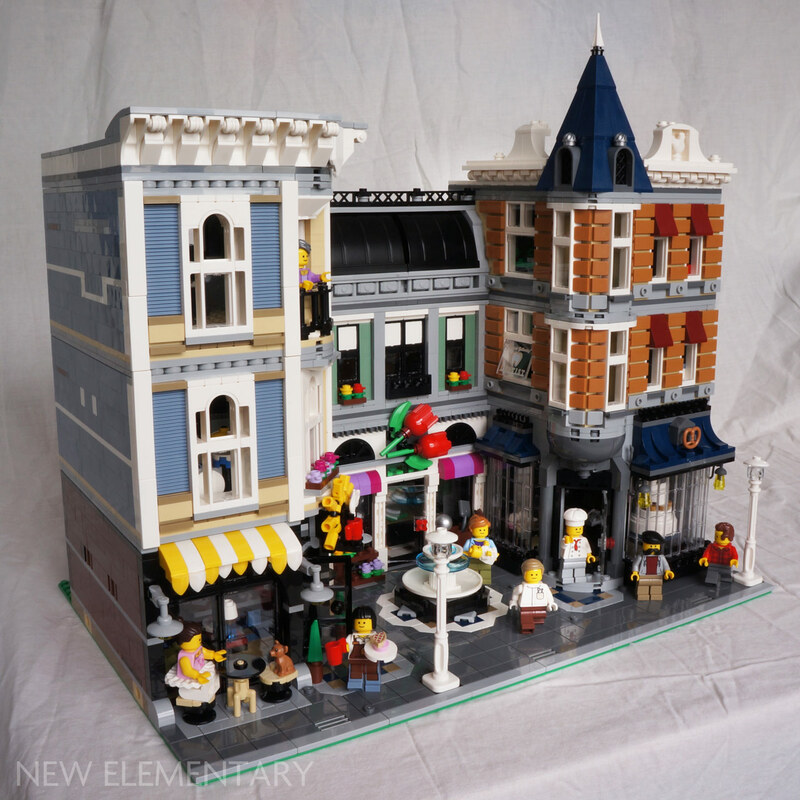 As I noted earlier the Light Royal Blue 2x3 tile is printed (6177290 | 26603) and this is a real treat - it’s a LEGO box; the first Modular from 2007, 10182 Cafe Corner. Closest we will get to a re-issue, I guess! I don’t scrutinise minifigure parts as closely as I do regular parts for this blog, partly because other sites do that very well already. These are such a great bunch however, I took a bit of a look. 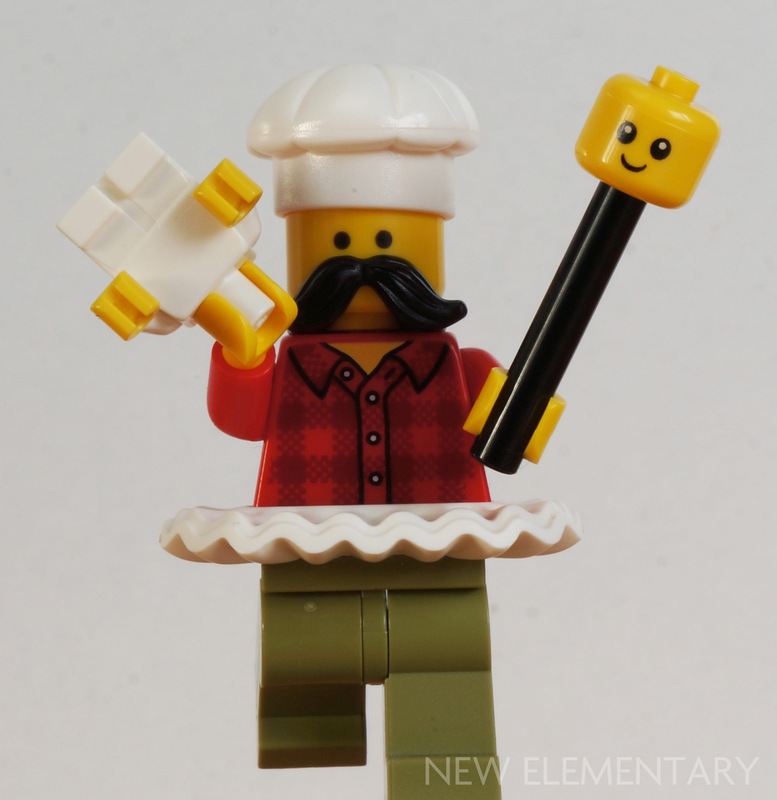 There is one new printed minifigure piece: the dentist's torso (6122988). 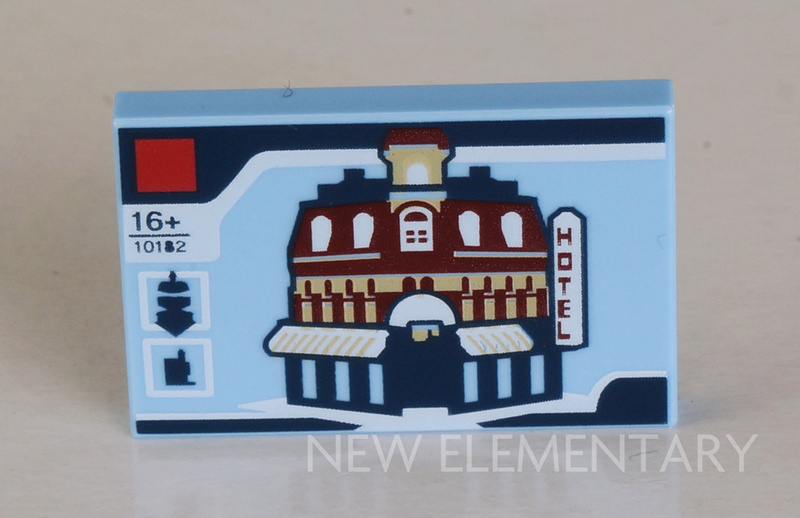 Loads of the other minifigure elements have only appeared once before, many from LEGO City 60134 Fun in the Park . 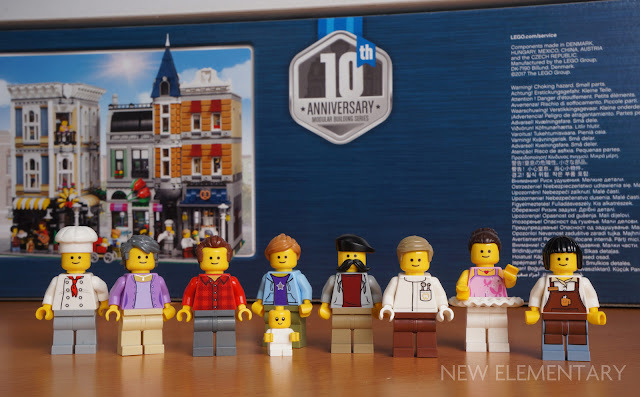 I did buy that set but never got around to reviewing it here, so will mention that the LEGO baby that comes in it also appears here in 10255 Assembly Square. Aside from its utter cuteness, the notable thing about the baby is that its neck is a 3.18mm bar and consequently the head has a 3.18mm hole. So there’s fun to be had there. Its hands however seem deliberately designed to hold nothing… has anyone found anything to fit? To finish, it is also worth noting the presence Sand Green bricks, most notably the 1x6 (6177081 | 3009) of which there are 12. I have mentioned a few pieces in this post that come in quantity and Sand Blue does best here... and they mostly come in one bag, which is pretty! Great review! I'm so excited for this set! I've been waiting a long time for Medium Nougat cheese and the return of Sand Blue 1x2s (the standard version, as the grooved variant was used in the Pet Shop). A note about the baby's hands - while nothing can fit *in* the hands, they have an external diameter of 3.18mm, so standard minifigs can "hold hands" with a baby, and elements with a recessed or hollow stud can fit on top (though the baby's head will get in the way of many such elements). Ah yes! Great spot Jacob, thanks. The baby's hands don't hold anythingthemselves, but the diameter of the baby hands are exactly bar-sized. So a regular minifig hand can "hold hands" with the baby hands by wrapping around them. Not only did someone already mention this, he used the exact same play of words haha. Actually, it seems it didn't go through, but I'm definitely not typing it up again, though! Though I will mention that the filling of the hands is likely for structural integrity and friction purposes, given the tiny size of the hands and the fact that you're meant to squeeze them into things (clips). If this parrot is in fact a new mold, I have to admit I'm a tad bit disappointed. The parrot and the monkey (which was redesigned for last year's Ninjago sets) were both classic animal molds overdue for an update, and yet neither of the updated version adds what might've been a huge improvement for both: printed eyes. Today, when even the fishy eyes of sharks are printed, it's hard to justify one of human minifigures' nearest genetic relatives having recessed eyes. 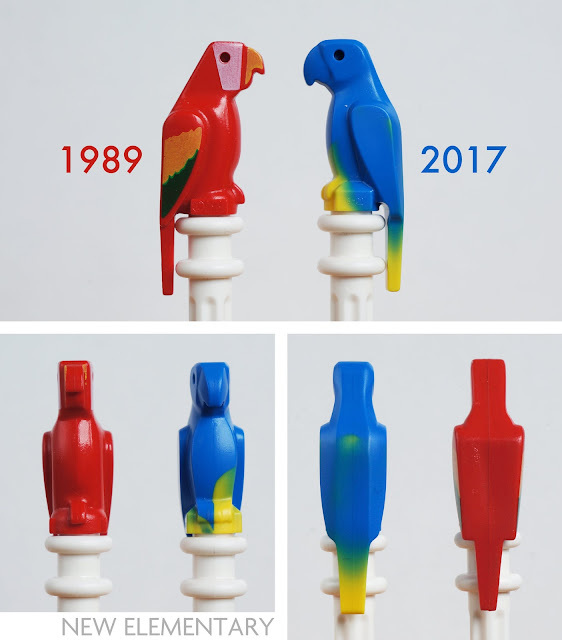 And the new parrot's lack of printed eyes is a step back from more recent LEGO molded birds like the penguin and chicken. 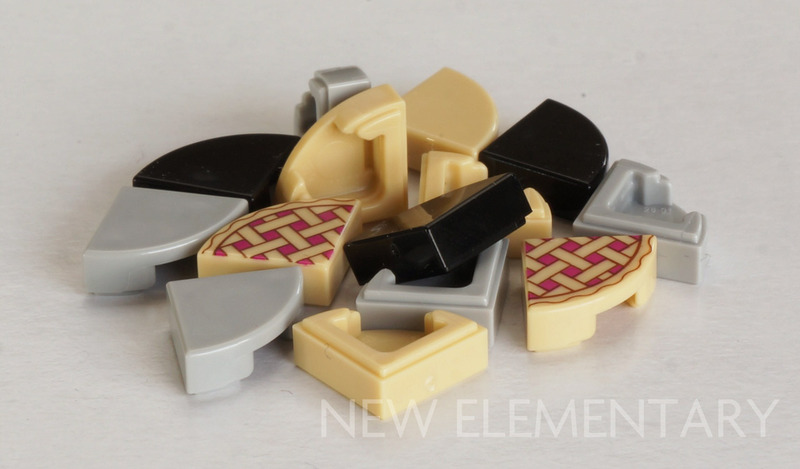 While Reddish Brown 1x1 tiles without printing are new to sets, printed versions have been appearing this year with multiple patterns: a wood grain pattern (http://brickset.com/parts/6139449) in six Friends and Elves sets, and a monstrous eye pattern (http://brickset.com/parts/6157652) in the Doctor Strange set. 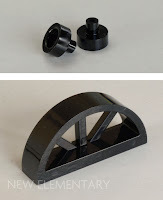 Regarding the silver 2x2 dish and ball: I could've sworn I'd seen these parts listed on LEGO Customer Service, and I was correct. They are listed as Silver Ink (a good example is the 3x3 dish used in 71258 E.T. Fun Pack, or the ball in set 76019 Starblaster Showdown). Bizarrely, though, Brickset has stopped including parts in this color in their database — despite still acknowledging that the Customer Service inventories include these parts (71258's Brickset inventory is listed as 100% complete with 42 parts, even though the Brickset database only lists 41)! 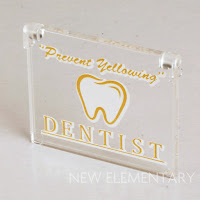 The Ink colors like Silver Ink and Gold Ink are strange in a number of ways — for one, they can represent either a lacquered/metallic color like this (represented by the term "NO.1000" in the part name) or a metalized/chrome color (represented by the term "NO.1100" in the part name). 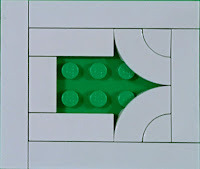 Perhaps this is part of why Brickset has trouble with these colors. If you think there may be an error with Huw's scraping/coding, should we mention this to him? I also don't understand where this sort of stuff comes from, maybe it is a related issue. The Technic ball joint is used in two other sets. A Ningago one and a Marvel set. I only noticed cause I wanted that piece for a MOC. I trued getting it from replacement parts and it was considered an licenced piece and not avaible. I just wasn't really wanting to but a big set just for that. Now I hope I can get more of them more easily possibly. And I hope I'm not in trouble over my replacement parts remark as some think that is not a very nice thing to do. I only do it for a few items anyways. Interesting. You mean the ball was considered licensed in that particular colour? This is not unusual, but seems odd to me in this case. 500 pieces? Globally? It sounds like a drop in the ocean. Good review! I'm very excited for a lot of these parts. The macaroni tiles (2x2, 4x4, and 2x2 angular) are some of the most promising—I've said before that 2017 is shaping up to be the "year of the tile", what with those and the relatively-new 2x3 tiles. Shape-wise, they're very useful since no comparable "macaroni plates" exist yet.And the non-studded surface they provide is not just useful aesthetically but also functionally, since you can potentially combine the use of those with other turntable elements to seamlessly add a rotating section to a 4x4 or 8x8 cylindrical construction. I've seen a lot of skepticism directed at the "corner window/door frame", since many past sets (especially modulars) used standard door/window frames and hinges or turntables to a similar effect. But I can see the use of such a part, since not only does it allow for a diagonal window or door in a much more compact space (thanks to not needing additional elements to achieve the angle), but also serves as a decent structural element (thanks to the large top and bottom surface) and allows those sorts of angled windows to be included in sets for younger kids in themes like City and Friends (which can't necessarily make use of the sorts of complex techniques seen in adult-focused D2C sets). 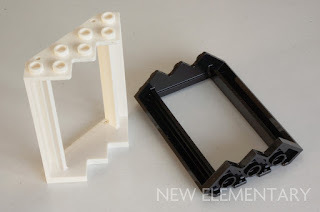 The new "corner SNOT" brick is less dramatic than some of the other newly introduced parts, but it is still a good piece with lots of potential applications. I love the way you combined it with the "anti-slipper" in one of your pictures, which makes for the kind of construction that would have been impossible with traditional SNOT bricks any way you slice it! Thanks Andrew! Yes, the angled door is an ugly chunky part but it's a gazillion times easier for kids than rotating a normal frame! Jamie actually uses both approaches in the set, which I think is cool. Will explain more when I actually review the set! The new corner frame appears in blue in the new City police station. And you get some in white in a Friends set. Oh man so many tiles. This is one of those sets where I'd love to strip it for the good bits then hand off the figs to whoever wanted them. I keep telling myself to get a modular at some point and never do. They're always so expensive and I'd end up putting most of it in the sorting bins probably never to use it again. But I think if I did finally break down and buy a Modular, it'd probably be this one for the plethera of finisher elements. I have such a deep, tremendous respect for Jamie. His role at TLG is not an easy one, as the Modular series are so anticipated and scrutinized. Yet he continues to push himself artistically each year while staying within the confines one finds oneself in a lot of product design scenarios. This set is astonishingly good. What I am really interested in is to see how he segues into the set that will follow this one. This is an anniversary set, bigger, badder, etc. so they can't keep growing from this...and I am sure that whatever comes next will be just as amazing to me. Can't wait to get this one though...with all the year end sales my wallet is like a boxer in the late rounds of a fight...and by the time the 1st gets here its not going to have anything left! Good point... tough act to follow, even just by merit of size. That's interesting, thank you, I don't have that set. So therefore it seems BrickLink are not giving the new parrot a separate entry (or no one noticed the change their either). I've also looked at the Brickset (TLG) inventory for that set and that part has not been included at all. Same with Brick Bank, which uses the old parrot mould. It sounded like the color mixing in the parrot could vary quite a bit from specimen to specimen. I heard about someone gotten one that was predominantly yellow.